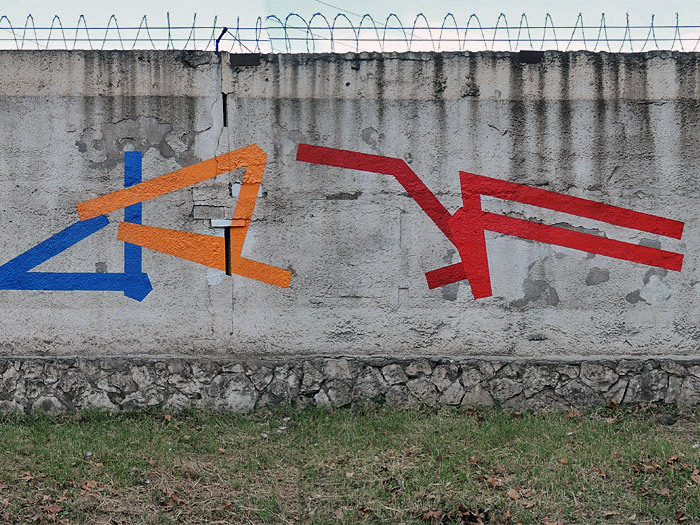 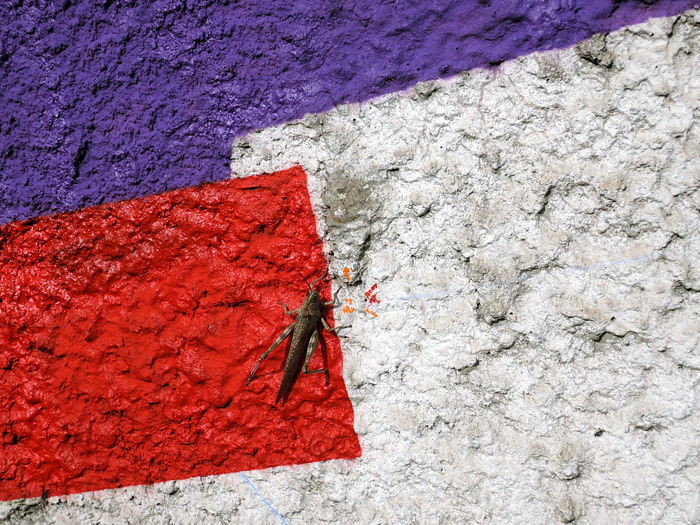 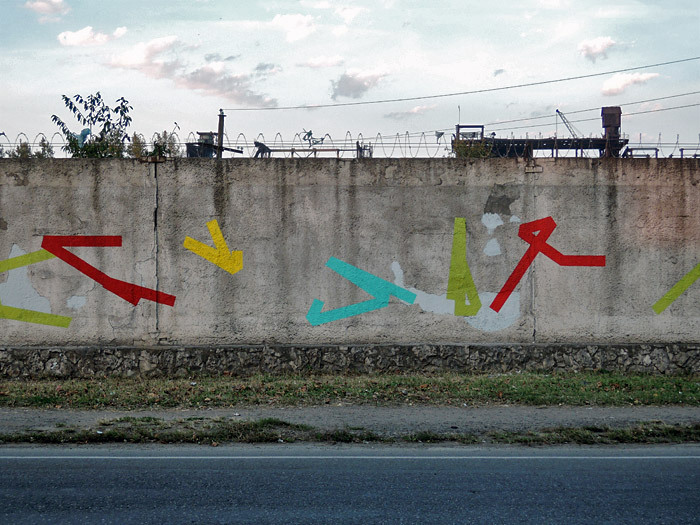 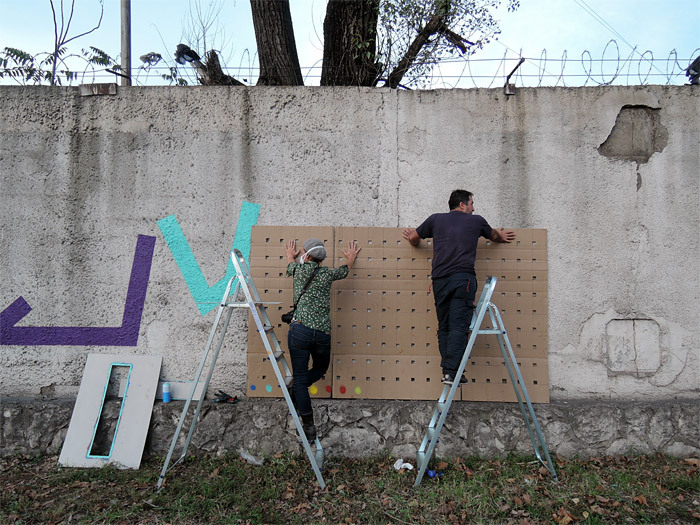 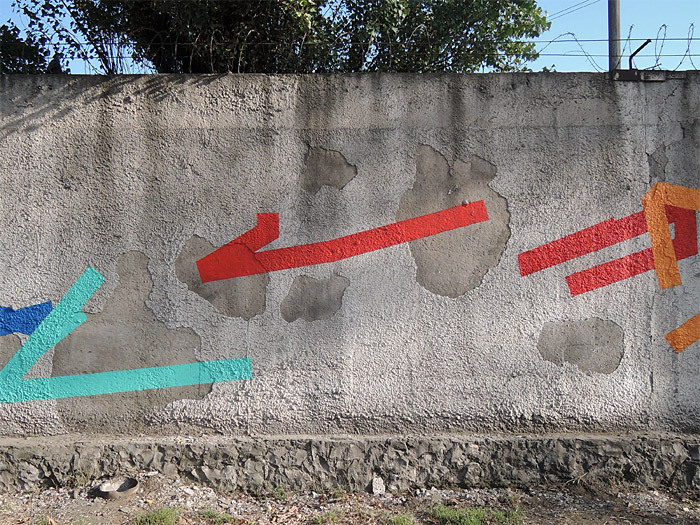 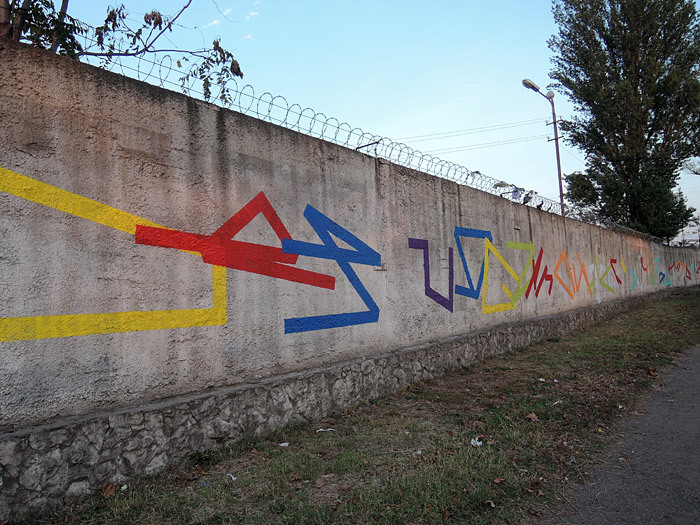 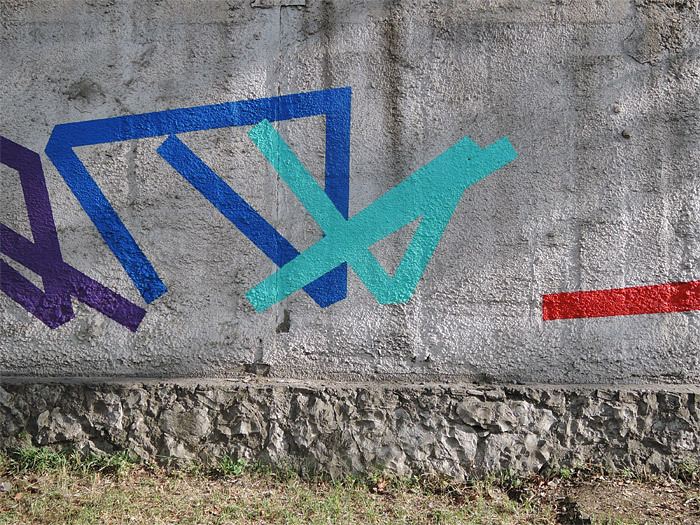 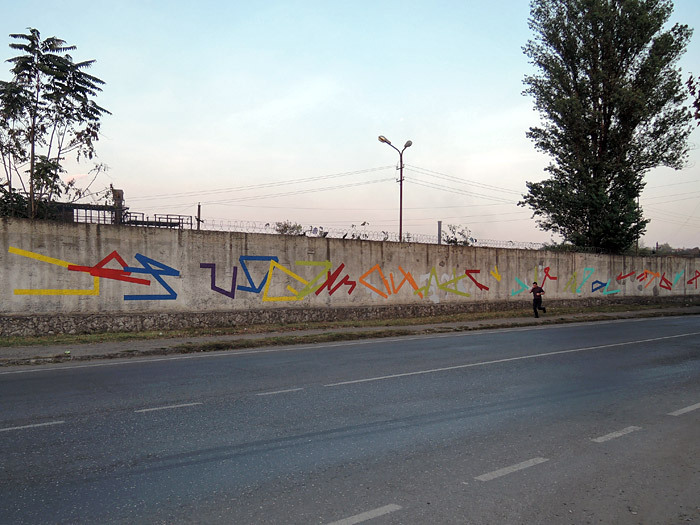 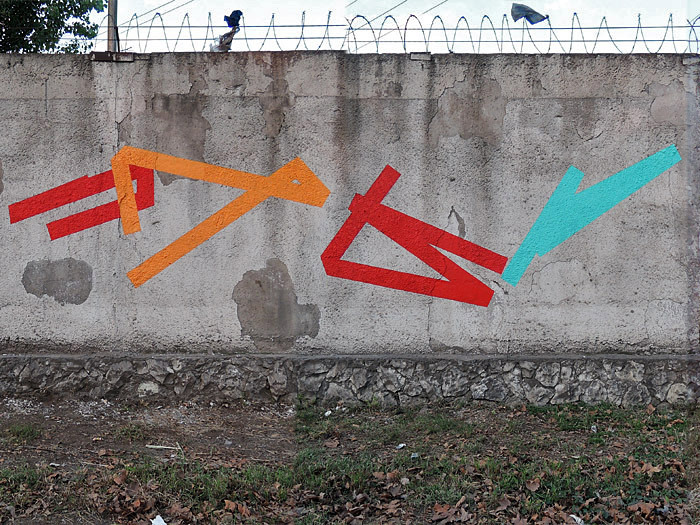 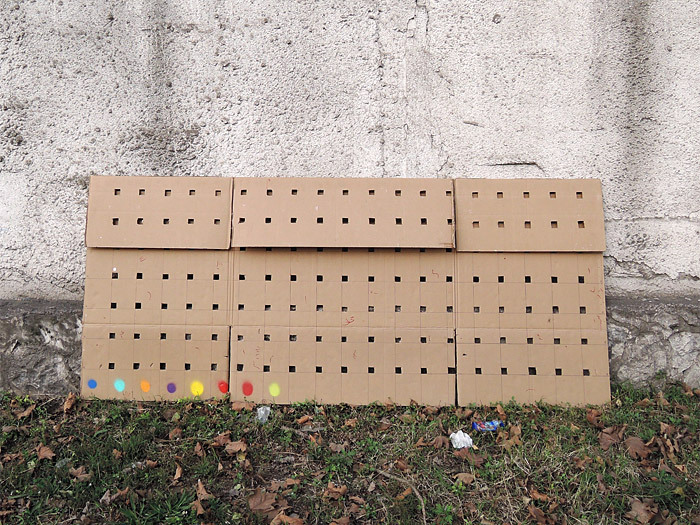 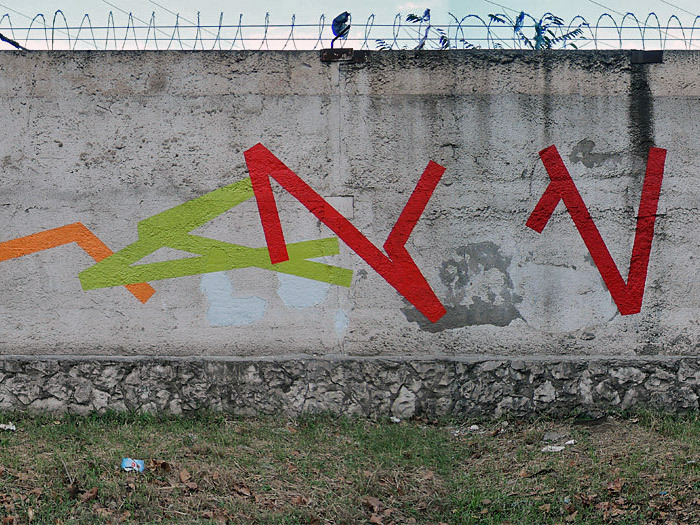 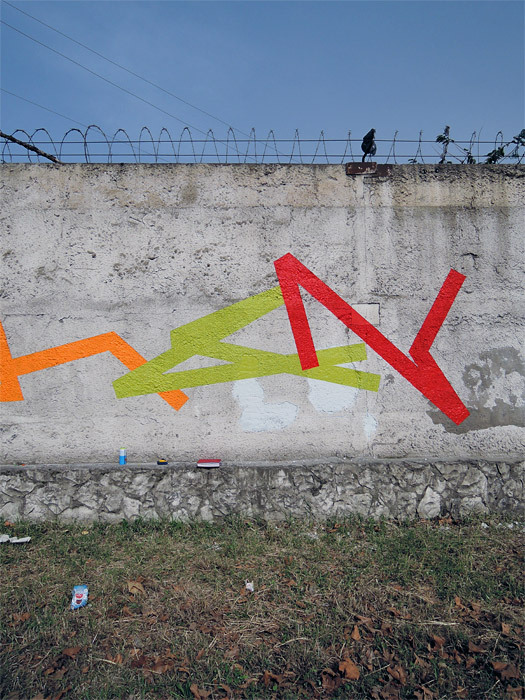 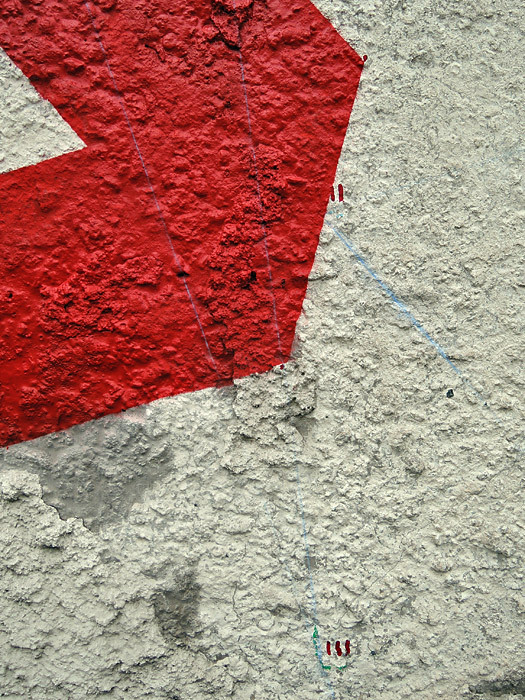 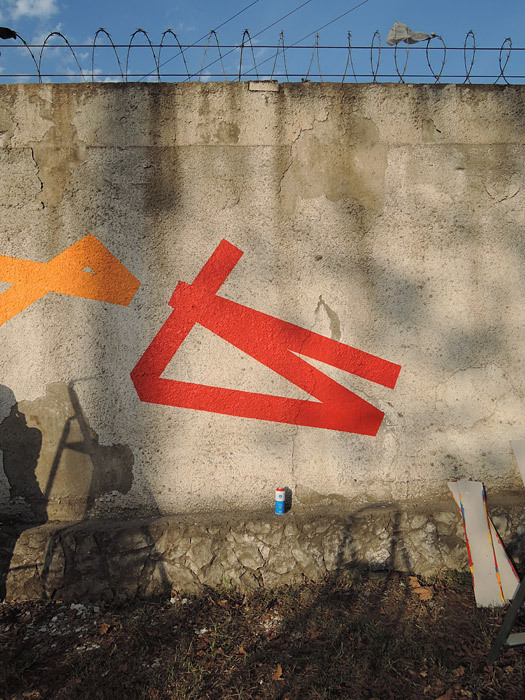 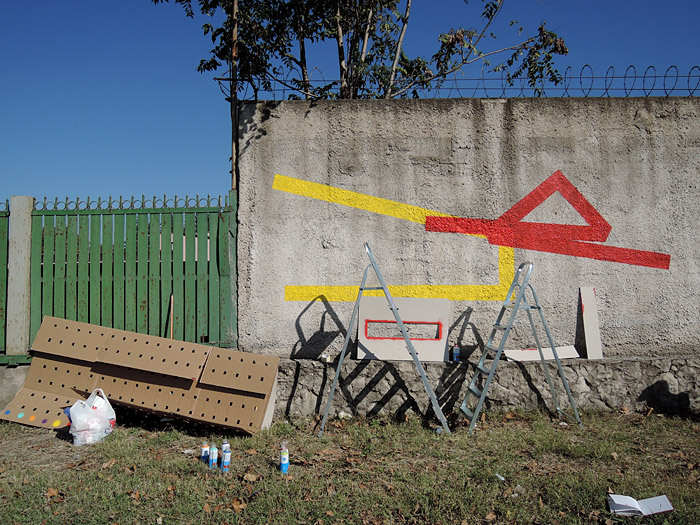 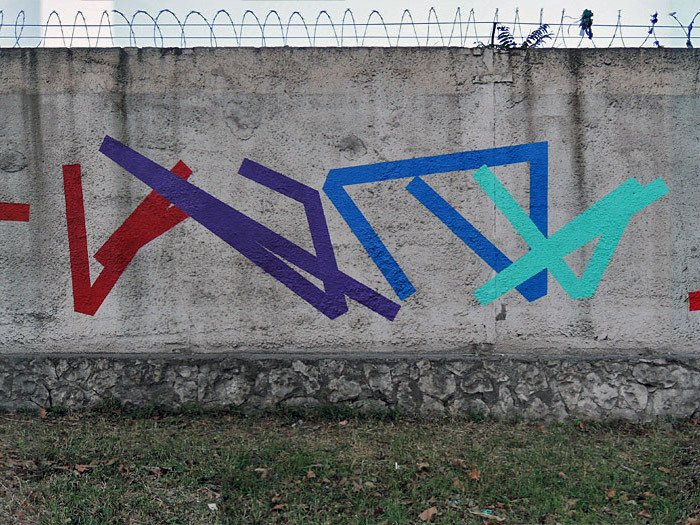 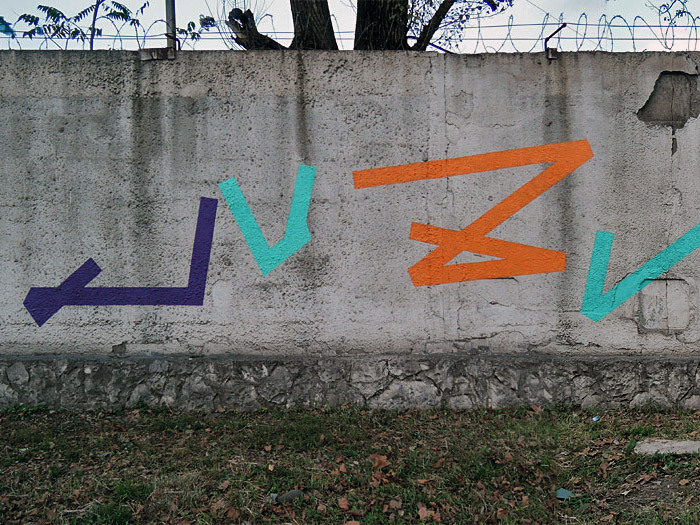 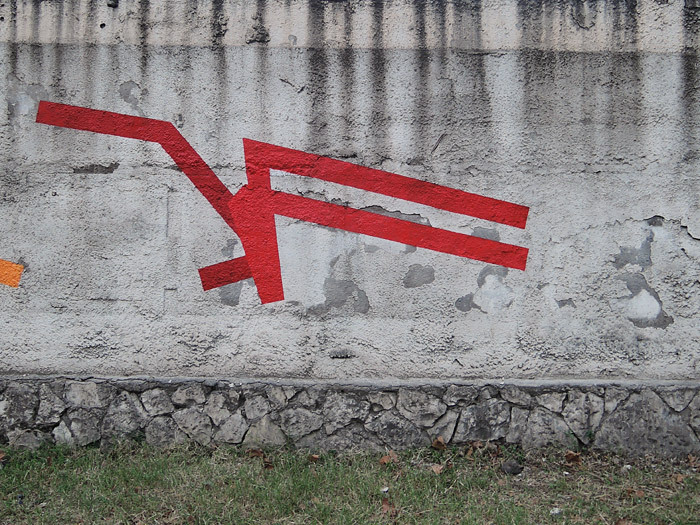 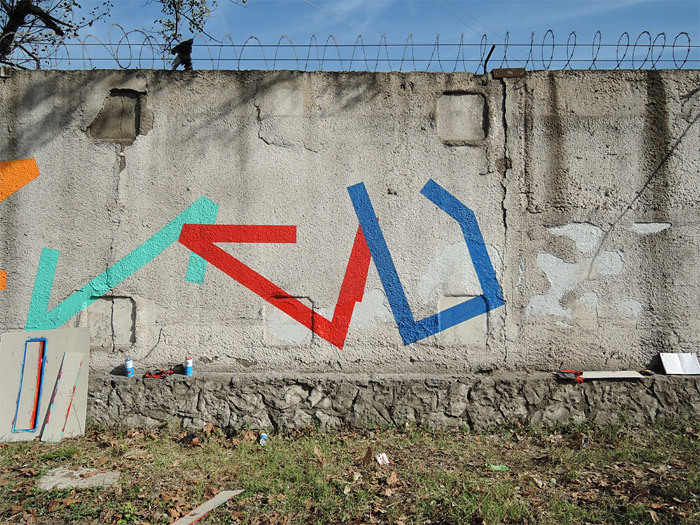 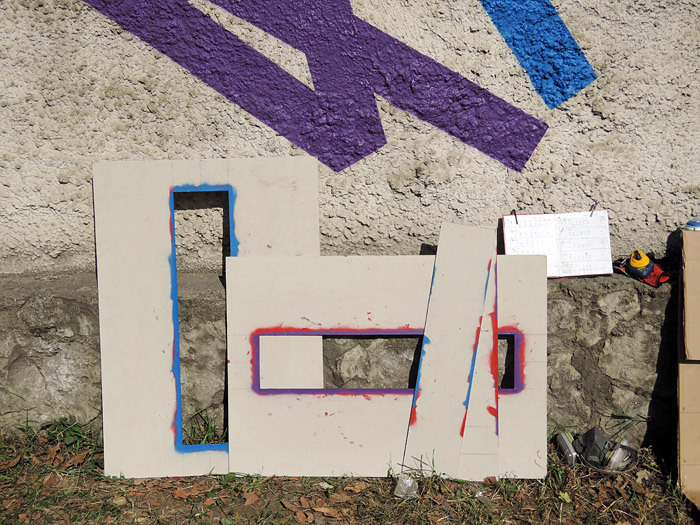 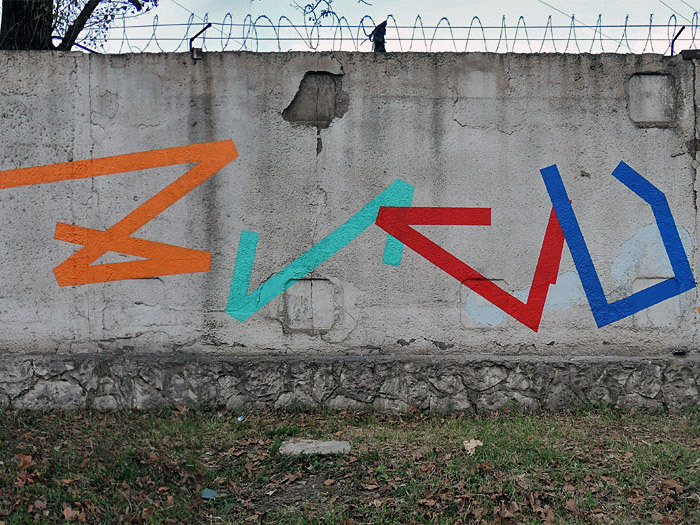 2,40 m. x 85 m.
This is the second time I ran this random wall painting experiment; it was executed for the first time – statically – in Bari, Italy and was called 8 Linee attraverso 4 Punti. 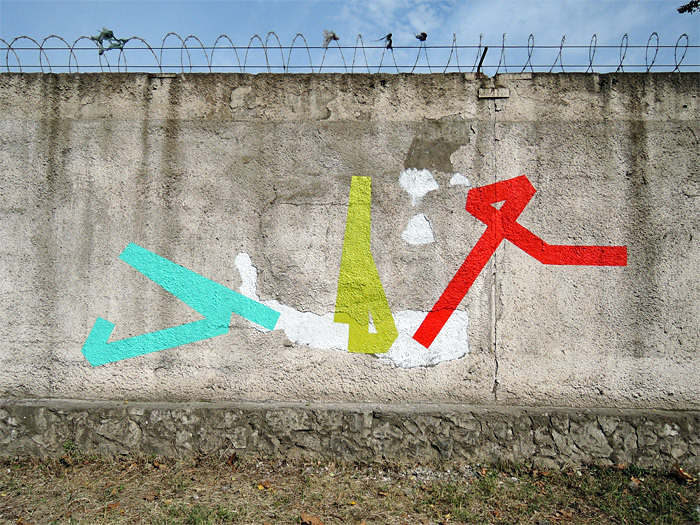 For this second attempt, the painting expanded to the right. 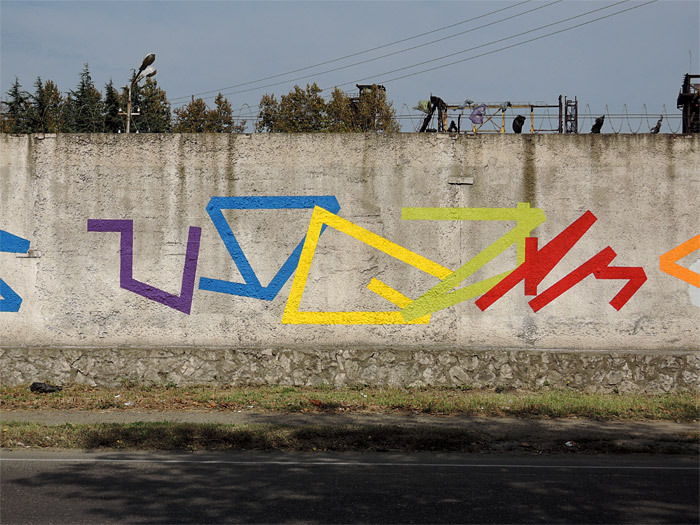 Each line was made of 4 segments passing through 5 randomly positioned points on a plane (1,6 x 2,8 m. vertically centered on the wall). 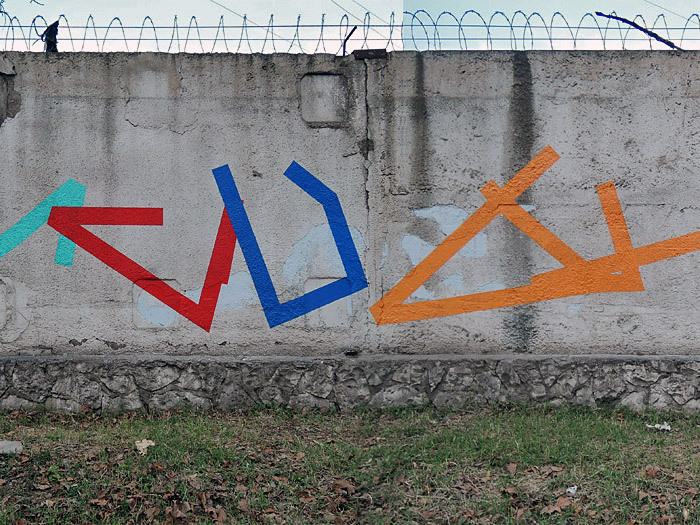 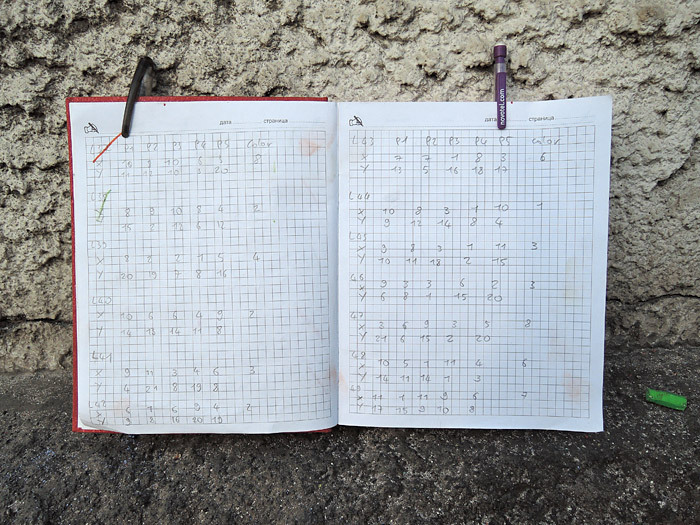 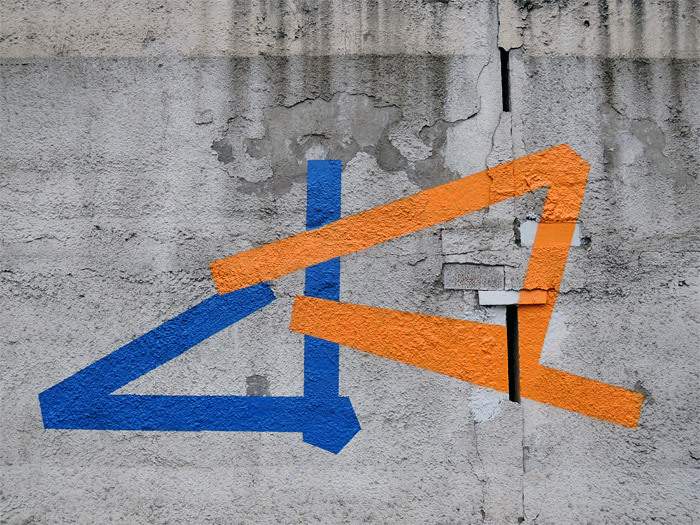 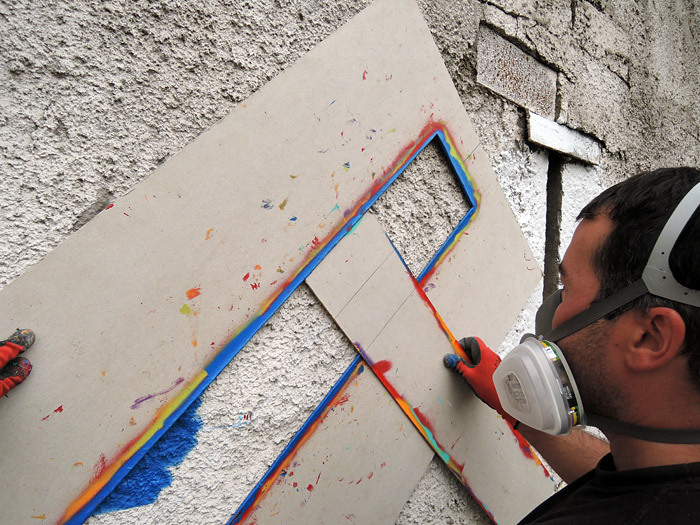 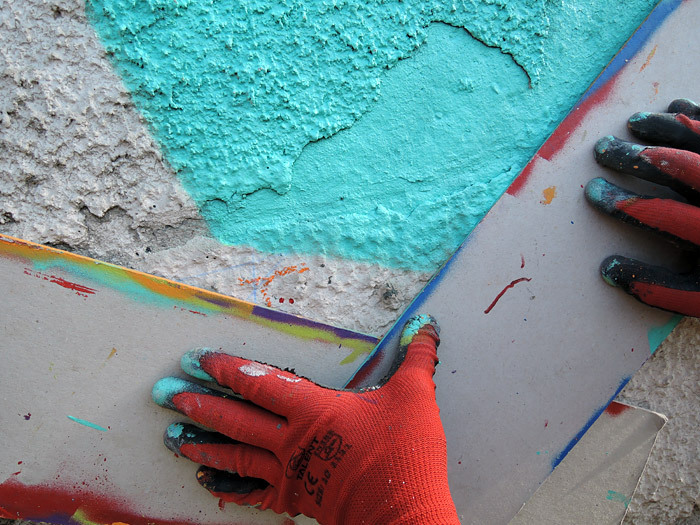 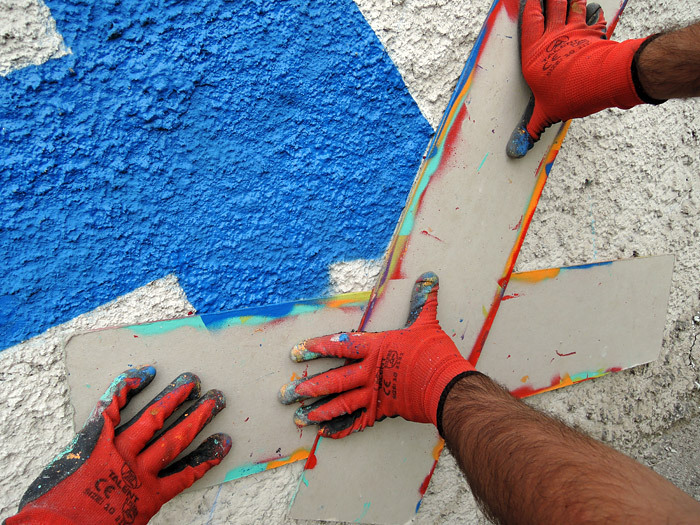 Once the X and Y coordinates were generated, the 5 points were marked on the wall, joined together from 1 to 5 and the segments were painted with one of the 8 randomly selected colors. 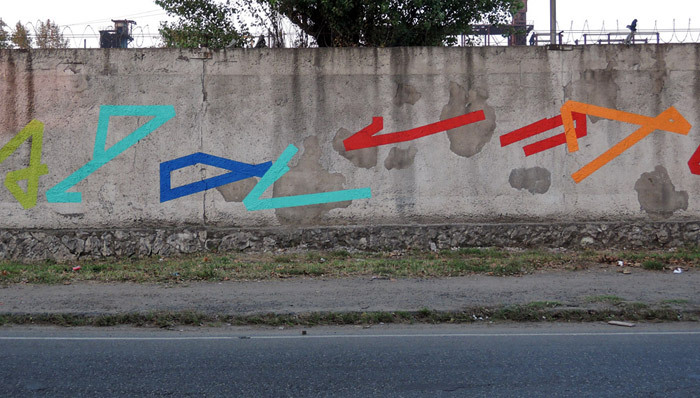 Then the plane was moved 2/3 of its length to the right and the next set of segments was generated. 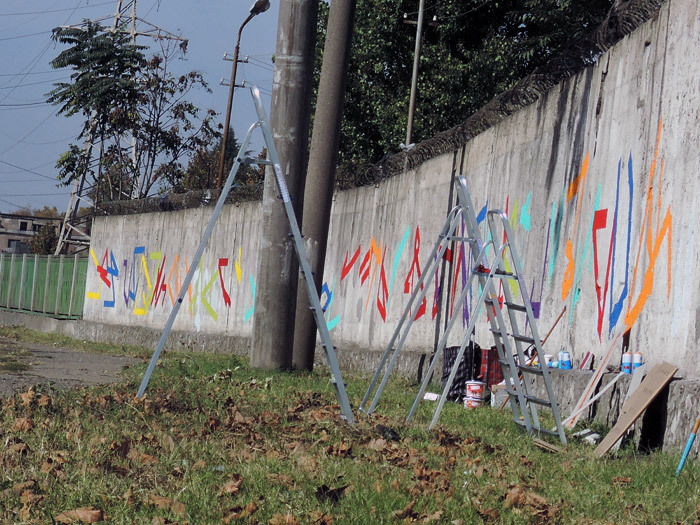 In four days, we managed to paint 53 figures. 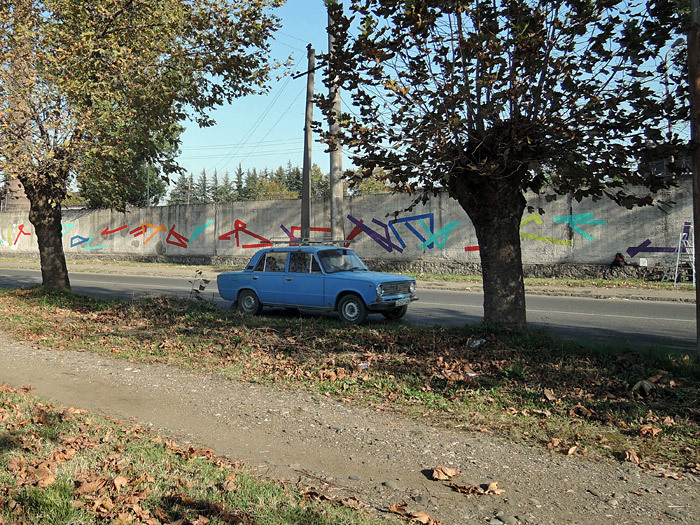 This project was made possible thanks to Zestafoni Ferroalloy Plant, Tamara Bokuchava (socialphotocaucasus.org), Nini Palavandishvili (geoair.blogspot.com) and George Okruashvili.